The simple part for the children's voices fits perfectly with Raney's gentle, original lullaby. The flowing piano accompaniment provides a lush underpinning for this re-telling of the night Christ was born. This setting originally appeared in Joel Raney's popular Christmas musical, Celebrate the Season. 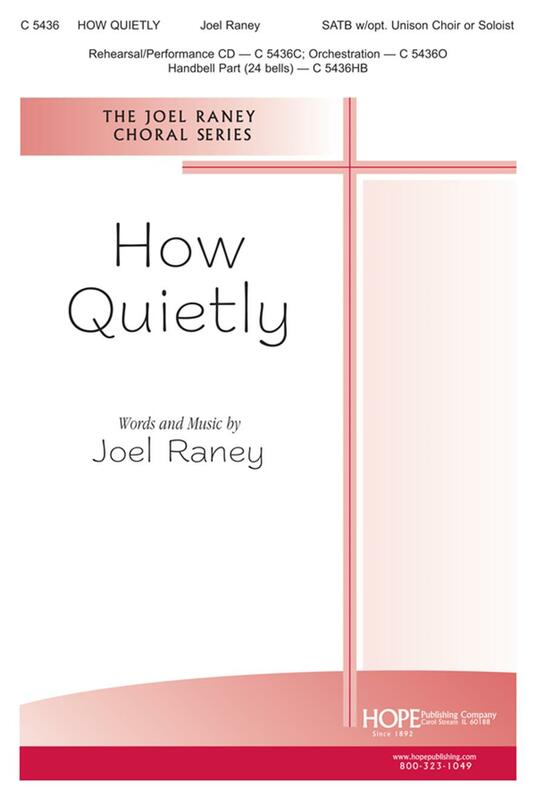 In 2007 the SATB setting was our top-selling anthem. New for this year we offer an SAB voicing. The orchestration contains a Conductor's Score and parts for: Synth, Percussion, Bass, Harp, Flute, Oboe, Trumpet, French Horn, Violin, Cello and Handbells. Product C 5436HB could be used with choir, handbell & piano. Product C 6099HB is suitable for choir & handbell no piano.